Welcome to the website of a working accordionist/vocalist. Click on the link below now to see his standing ovation. The major part of my work is entertaining holidaymakers in the top hotels with my three hour one man show I am billed as an International Accordionist Vocalist, with good reason as I cover music from around the world, with selected vocals in eight languages. In the world of entertainment, I’m using the accordion as my accompaniment, trying to get the best live backing for my show. I have performed in numerous countries world-wide including Australia, Sweden, Bermuda, America, France, Spain, Portugal, Austria and of course throughout the United Kingdom. 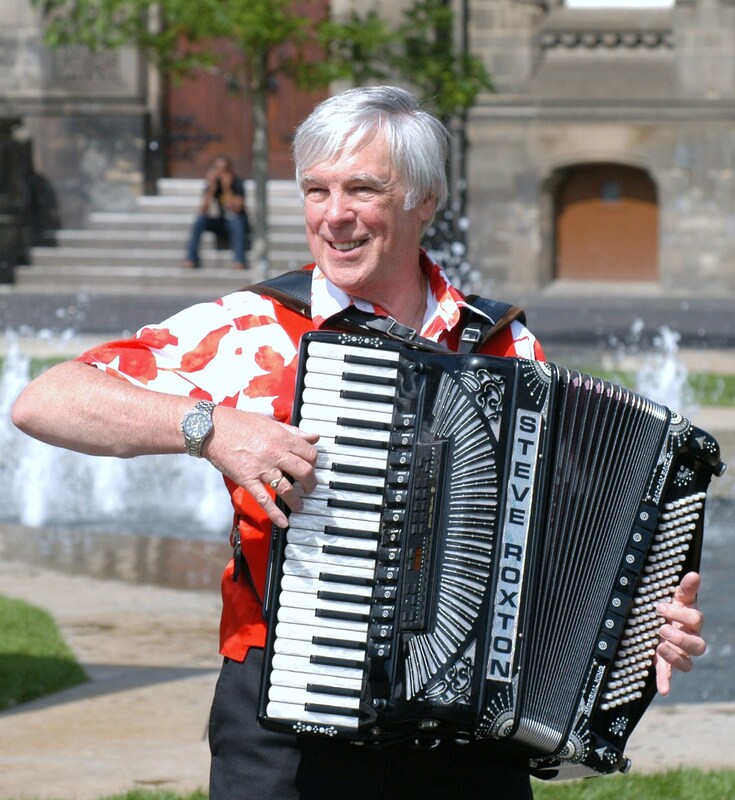 Quite apart from entertaining the general public I also appear at Accordion Festivals, and as guest artiste at accordion clubs and societies, with a programme of accordion solos. 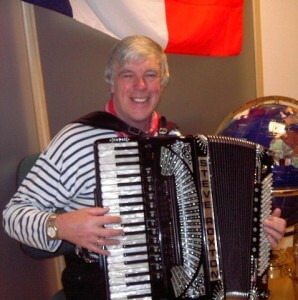 To generate more interest in the accordion in the Channel Isles, quite apart from my professional work, I founded The “Jersey Accordion Band” and “Les Amis de l’Accordeon de Jersey” a social club to promote accordion music and better playing which still meets at The Priory Hotel, St Mary Jersey Channel Isles on the first Tuesday of every month and is open to visitors. Now resident in the North East of England I perform at major events both here and in France.